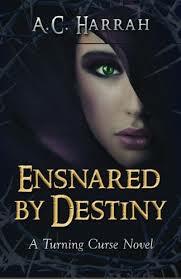 Although I haven’t actually read the previous books in this series before, I did find this book really easy to follow and I was drawn fully into the storyline. I liked Cordelia’s character, though Siliva made me roll my eyes with what she was saying to Cordelia. It was interesting to see that Cordelia was in disguise and how she’d changed from being royalty to a commoner. I was confused by her disguise at first, but as I read more of the book, it did make sense. I liked being able to see Cordelia interacting with Liam and Riona, even though I spent a lot of the book confused about why she didn’t want to see her parents. I did like Raheam as a character. I felt a lot of sympathy for him and the way he was almost childlike in his desire to be Cordelia’s friend. While I did feel bad for him, though, I could understand Cordelia’s suspicions and although I would have liked to see a bit more of her interactions with some of the other characters (like the guards), it was amusing to see Cordelia having to deal with the problem of having her disguise suddenly fall away. I would have liked the opportunity to see more of the kingdom and the other residents, though I could see a huge difference in Cordelia’s home compared to Riona’s father’s kingdom. While I did enjoy reading some of the bantering Cordelia exchanged in, I did find myself growing concerned for her safety. However, at the same time, I felt she came across as quite immature and it wasn’t until towards the end of the book that she seemed to be starting to grow up. A lot of what she said was valid… but the execution left a lot to be desired. I would have liked to see more of Alan and Robin. I did think they were both intriguing characters, but I didn’t really get how amiable Alan’s relationship to the others was. I liked being able to see something of the politics involved and although I didn’t much like Cornelius, I did appreciate the position he was in. I would be interested in reading the previous book/s in this series, but I would like to see more of Cordelia and Raheam. And it would be good to see if Corderlia can grow and mature more by the end of the book. Plus, I would like to see more of her relationship with her mother, at least.